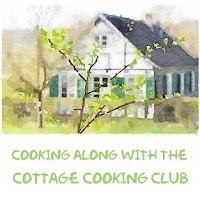 We are now in the third month of our year-long food preservation Mastery Challenge. Our mission for March is Jellies and Shrubs. For this event I made two liquid based jellies, with two completely different flavor profiles and finishes. Now a jelly for the purpose of this challenge is a made with a flavorful liquid. Examples of this would be a fruit juice, vinegar, or wine and there should not be any bits or pieces of the fruit, pulp, herb or spice in the jelly. I first started with a lavender and white wine jelly. The recipe is from, “Ball Complete Book of Home Preserving”. The recipe instructs you to starts out with a large stainless steel pan but since I was making a small batch, (enough for two 8-ounce jars) I used a nonstick sauce pan. I also substituted dry pectin for liquid and followed the cooking time exactly per the cookbook. The jelly never set-up and what I ended up with was a beautifully tasting syrup. After 24 hours I decided to reprocess the jelly. This time I used a large stainless pan; added another tablespoon of pectin and cooked the jelly an extra minute longer. Once again the jars were processed for 10 minutes and left on the counter to cool. This time the consistency was perfect. The next day I spooned Lavender Wine jelly over a slice of brie cheese for a late afternoon snack and it was heaven. Bring to a boil in a large stainless steel saucepan the wine and lavender. Cover and remove from heat and let steep. Set timer for 20 minutes. In the meantime, prepare canner, jars and lids. Check out this website for more info. Set-up layers of cheese cloth into a mesh strainer over a medium-sized deep bowl, let drip for another 20 minutes. Measure 1¾ cups of the infused wine and transfer to a clean large stainless steel saucepan. Stir in sugar, then cook on high heat stirring constantly, bring to a full rolling boil that cannot be stirred down. Stir in pectin, boil hard for 2 minutes, stirring constantly. Remove from heat, do the plate test. If okay pour jelly into prepared jars leaving ¼ inch at the top. Wipe rim, add lid and screw on band until you reach some resistance. Place jars in canner, bring to a boil and process for 10 minutes. Turn off heat, let set for 5 minutes. Remove the jars, let cool on counter. Wait for the popping noise you will hear it soon. The second batch was a different story. I followed Marissa’s, Tart Red Cherry Jelly recipe using 100% concord grape juice. The problem this time was that I overcompensated and cooked the jelly too long. When pouring the jelly into the jars I noticed the consistency was different from the wine jelly. Early that next morning we tried to spread the Concord Grape jam on toast, it was clumpy and tough, let’s just say even tougher than jello, see picture below. As you can see this was inedible. Verdict: jelly making is a lot tougher than I imagined. Jam preserving was much easier for me, not sure why. Maybe it is more forgiving. Will try the Concord Grape version again. It’s been a humbling learning experience but totally worth it. I made apple jelly that looked like that one year. It is hard to get perfect consistency but love that wine jam - how interesting! Jam seems to be a little tricky, I bet your apple jam was delicious. Lavender jelly wine? Wow! I am intrigued by the name. Love all of these recipes. Thanks Anu, we were surprised how good the lavender wine jelly is. Lavender and wine...I would love some! Thanks Angie, it really is a great combo. Thanks Juliana, yes I am having a great week, hope you are too. Wow, Cheri. An amazing mix of flavors and textures. Fabulous. Thanks Dena, this was a great challenge. We both chose lavender, what a coincidence. I know yours goes perfectly with cheese as I tried that yesterday afternoon. It's the best isn't it, will definitely be making this one again. I think it's agreed - we all love that lavender wine jelly :) What a great challenge. Thanks Susan, it is a really fun challenge, learning alot of new techniques. You had me at lavender! I can't wait to try this, Cheri. Once, a guest who came to dinner brought two (yes, two!!) magnums of White Zinfandel. We didn't drink any of it, while he drank almost the entire bottle and got very maudelin, needless to say, it was his only dinner invitation! However, we were left with a magnum of horrible pink wine... so we made pink rosemary jelly! Talk about making lemons from lemonade! It's gorgeous here today in Tucson! Hope you two are having a good weekend! Yes, the weather has been beautiful, hiking everyday. 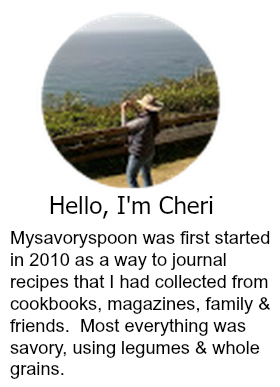 Hi Cheri, I made some mint jelly that I had to cut with a knife and eventually I threw it away. Your wine jelly looks delicious especially with the brie and hazelnuts and of course the salami. yummy. Thanks Gerlinde, making jelly is a lot harder than I first thought, but the flavor is worth it. Lol you are so right Kim!